1928 U.S. industrial designer, who was born in Star, Minn., he studied in Detroit public schools and was an art major at Cass Technical High School. 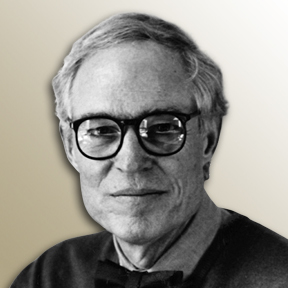 He was a liberal arts major at Wayne State University, and graduated from Cranbrook Academy of Art in 1954 with a BFA in design and architecture. He worked in the office of Eero Saarinen from 1949 to 1952, assisting in the design of the Knoll #71 and #72 chair series. He designed Ford Rotunda Exhibits and special furniture for the Ford Motor Company with the Walter B. Ford office from 1953 to 1954. He was awarded a 1954 Fulbright Grant to Italy in design and architecture, where he practiced with Marco Zanuso, and with whom he won the Medaglio D'Oro in 1957 for the Borietti sewing machine. Diffrient was with Henry Dreyfuss Associates from 1955 to 1980, where he worked on a large range of products for numerous clients. He became an associate in 1967 and a partner in 1970. He taught graduate level industrial design at the University of California from 1961 to 1969. With National Endowment for the Arts grants from 1975 to 1981, he co-authored HUMANSCALE 1/2/3, HUMANSCALE 4/5/6, and HUMANSCALE 7/8/9, valuable human factors tools for designers. He designed the 1979 Diffrient Seating Series for Knoll. An active member of IDSA as a board member and vice-president, he was awarded Fellowship in 1971. He chaired design seminars for USIA in Yugoslavia (1971), Bulgaria (1972) and Hungary (1973). Diffrient received an honorary doctor of letters from Art Center College, 1975 and was on the board of the American Institute of Graphic Arts, 1972-1976, and won their design award in 1977. He had a retrospective exhibition at the Cranbrook Academy Museum in 1980. Diffrient established his own studio in Ridgefield, Conn., in 1981, concentrating on furniture design. This included office seating and the "Flexible Workspace" for Knoll International, and the "Freedom Chair" for Humanscale Corporation in 1999. He holds 23 design patents and 19 utility patents for furniture. His designs have won countless awards and recognition, including the Chrysler Award for Innovation in Design in 1996, National Design Awards in 2000 and 2002, and IDEA awards from 1980 to 1993. His work has been represented in numerous museum exhibitions from 1980 to 2001. He became a Fellow and Honorary Royal Designer for Industry of the Royal Society of Arts in 1987 and was president of the International Design Education Foundation, 1984-1992. He became an Honorary member in 1991 and served on the board of directors of the American Center for Design from 1992-1996. He became an Honorary Member of the Designers Institute of New Zealand in 1992 and was in ID magazine's top 40 design innovators in 1993. He has served on the Board of the Cranbrook Academy of Art from 1995 to the present. Diffrient published his autobiography, Confessions of a Generalist in 2012.